How does a primate find a date when they're confined to an urban jungle? 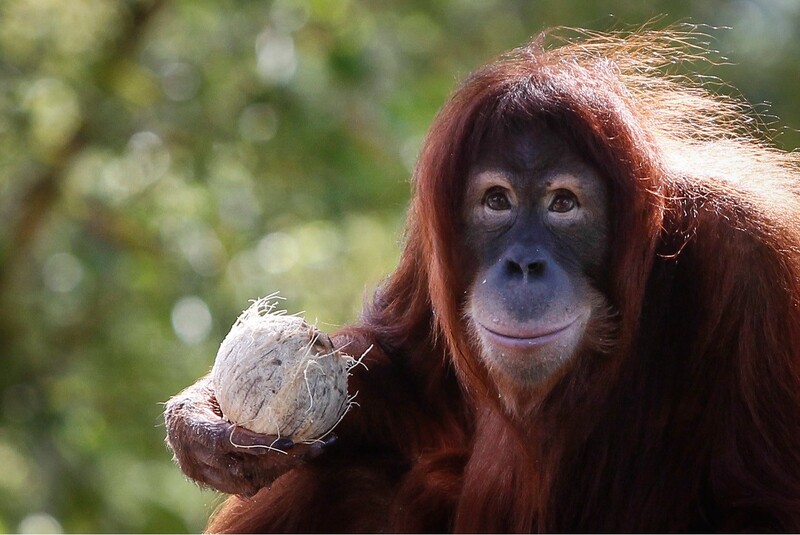 Orangutans in a Dutch zoo may get a high-tech helping hand thanks to a research project that is being likened to a Tinder dating app for apes. The research at the Apenheul primate park, on the outskirts of the Dutch city of Apeldoorn, is investigating the emotional responses of orangutans and bonobos to images of the same species they are shown on a touch screen. Biologist Thomas Bionda said Wednesday the screen could help determine an ape's preference between prospective mates as part of a breeding program. "We want to help our animals and maybe other zoos' animals to make a choice," Bionda said in a telephone interview. "Animals have to like each other." Bionda hopes that having apes check out images on a computer screen could help determine the compatibility of a prospective pair. In the meantime, the primate park has another problem — building an orangutan-proof touch screen. The screen in the primates' sleeping area was recently destroyed by a young female called Samboja.